…the one with all the Spring! This is the front yard of Baldwin Hill Farm which is right across the street from where we had our wedding ceremony – we took a walk last weekend (our 6 month anniversary!) 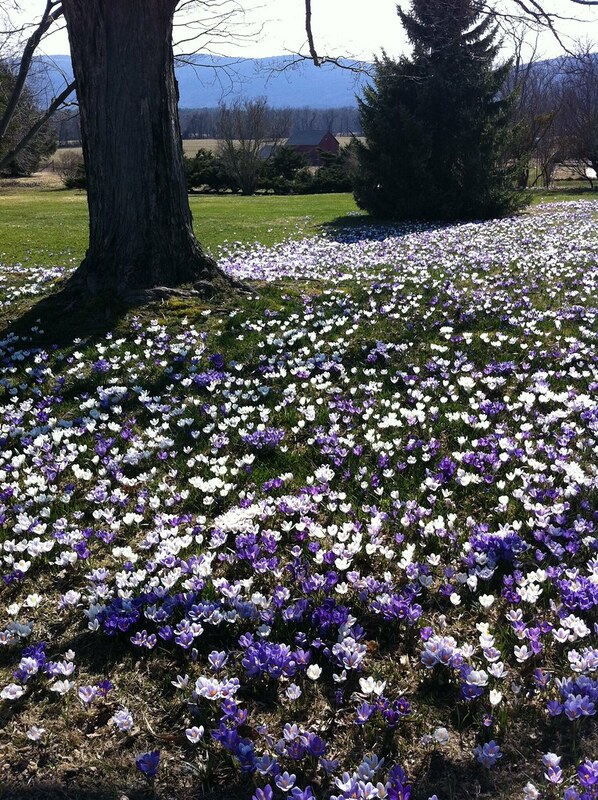 to the site and I loved seeing all those crocus! Makes me want to order a couple super-size bags of bulbs for the fall!